If you are looking for excellent all-inclusive facilities & long lazy days on one of Cuba’s most picturesque beaches, you should stay at Hotel Playa Paraiso. Even on an island renowned for beautiful beaches, Hotel Playa Paraiso provides a rare tropical paradise with white powder sand, tranquil turquoise water & nearby coral reefs that are perfect for diving. There are scuba lessons at the hotel, while beach watersports include catamarans, aquatic bikes & windsurfing. Other leisure facilities include a gym, tennis, children’s club, basketball, bike rental & horse riding. There are also 4 pools, including 2 for children, & plenty of loungers where you can relax in the sun or watch the activities around the pool. 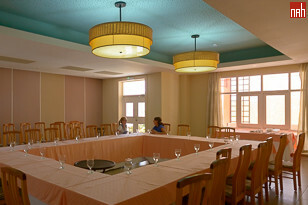 Hotel Playa Paraiso is attractive & well maintained resort with a good range of modern facilities. This is a new hotel so occasional minor problems are only to be expected but you can expect a swift, helpful response from very friendly staff. 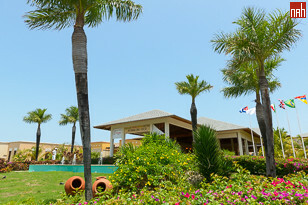 The complex has 4 bars, including a beach bar, while there is a buffet restaurant, 2 a la cartes (Cuban & Italian) & beach grill. There is good variety, quality & very high standards of service at the beach resort Playa Paraiso, with new tasty options added every night. While there is plenty to do in & around the complex, Hotel Playa Paraiso will suit anyone seeking a relaxing break with great food & ready access to a picture postcard beach. 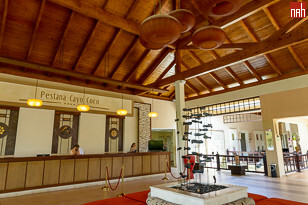 Hotel Gaviota Playa Paraiso was previously known as Pestana Cayo Coco Beach Resort. The 20 suites at Cayo Coco Beach Resort are twice the size of the junior suites & bring extra luxury with a jacuzzi bath & modern walk-in shower. Pestana Cayo Coco hotel has over 488 junior suites which are of a very good standard with modern fittings & tasteful décor. 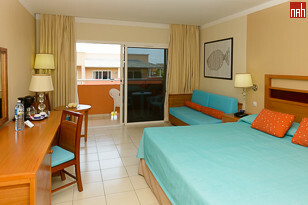 All junior suites have a balcony, air conditioning, satellite TV, safe & mini bar. These rooms are spacious, clean & comfortable, & are looked after by maids who leave decorative towel art. Guests with mobility problems should seek ground floor accommodation as this hotel has no lifts.